How do I get the "Continue Reading" / "Read More" link in my posts? By default, your entire post will display on the homepage--sometimes this can make scrolling your homepage a bit lengthy! The "Continue Reading" or "Read More" button are a great option to implement if you'd like to shorten these posts up. 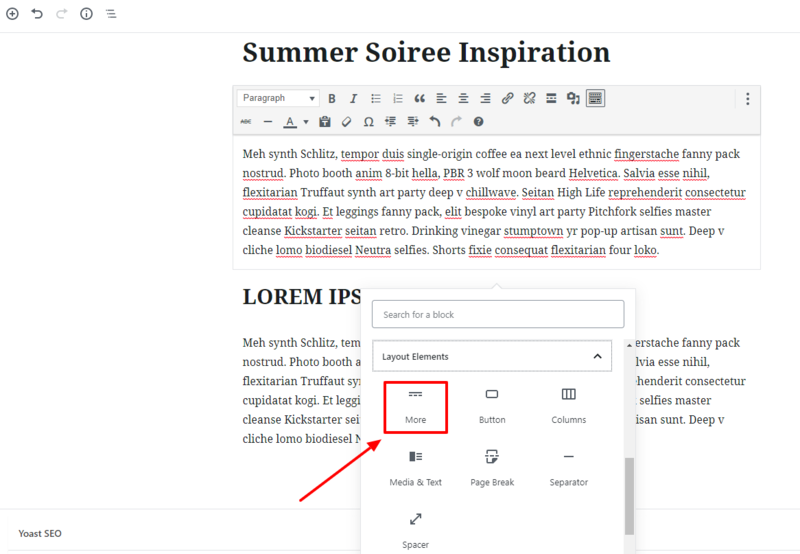 You can insert the WordPress "Read More Tag" where you'd like the "Continue Reading" or "Read More" button to appear (text will depend on which theme you're using). 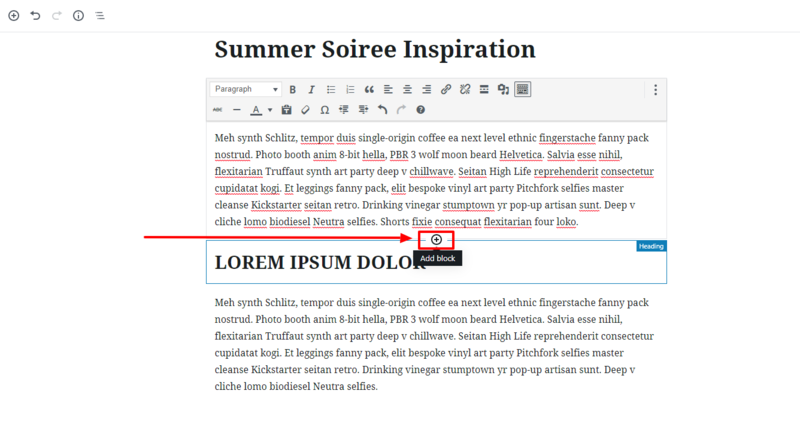 When creating/editing a post, hover your cursor beneath the Gutenberg block where you want the "Read More Tag" to go. Click the little plus sign icon and choose the block titled "More". If you don't see it listed right away, scroll down to the section titled "Layout Elements" and select the "More" block here. A horizontal dash line will appear in your post-- this is where your "Continue reading" or "Read More" button will appear when your post is displayed on the homepage/archive pages. Any text you put underneath that horizontal dash line will not appear on your homepage/archive pages. Change your mind? To move the "Read More" tag, click on the "More" block in your post and then use the up or down arrows to shift it around. How do I auto-apply the "Continue reading..." link on all posts in Hemlock? How do I add the "Continue Reading" button to posts in Rosemary? How do I auto-apply the "Continue Reading" button to all posts in Florence? How do I add the "Continue Reading" button to posts in Redwood?